C1665. KLAUS TENNSTEDT Cond. 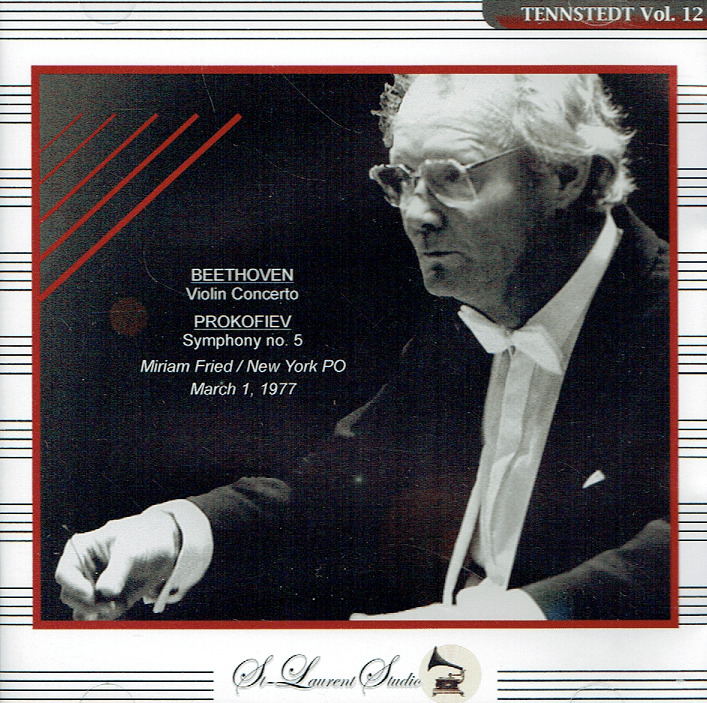 NYPO: Symphony #5 in B-flat (Prokofiev); w.MIRIAM FRIED: Violin Concerto in D (Beethoven). 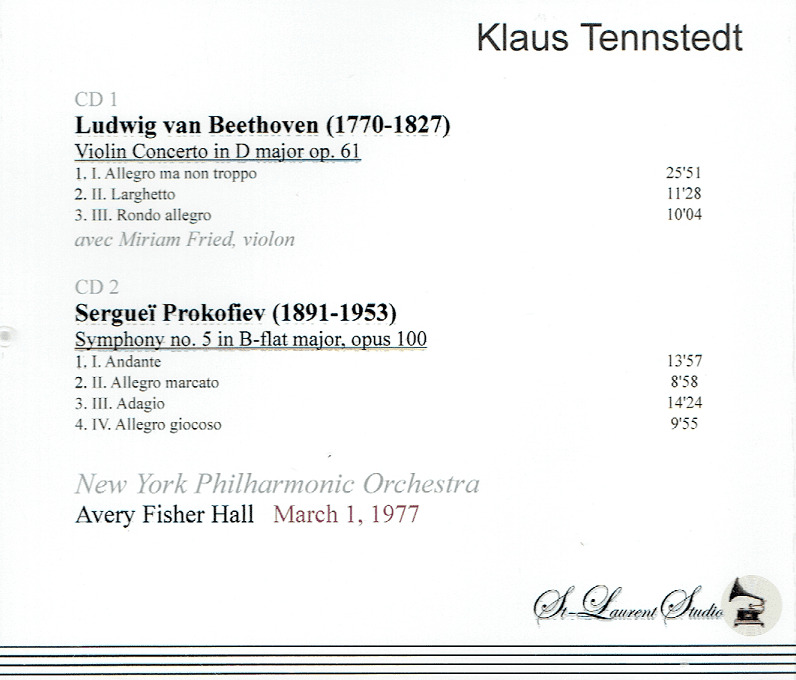 (Canada) 2-St Laurent Studio YSL T-748, Live Performance, 1 March, 1977, Avery Fisher Hall. Transfers by Yves St Laurent. “Miriam Fried has been recognized for years as one of the world’s preeminent violinists. A consummate musician - equally accomplished as recitalist, concerto soloist or chamber musician - she has been heralded for her ‘fiery intensity and emotional depth’ (MUSICAL AMERICA) as well as for her technical mastery. Fried has played with virtually every major orchestra in the United States and Europe and has been a frequent guest with the principal orchestras of Boston, Chicago, Cleveland, New York, Philadelphia, and Pittsburgh, as well as with the Israel Philharmonic, the London Symphony, the Royal Philharmonic, and the Vienna Symphony. Recital tours have taken her to all of the major music centers in North America and to Brussels, London, Milan, Munich, Rome, Paris, Salzburg, Stockholm, and Zürich. She premiered a violin concerto written for her by Donald Erb with the Grand Rapids Symphony and recorded the work for Koss in 1995. Since 1993, she been chair of the faculty at the Steans Institute for Young Artists at the Ravinia Festival, one of the country’s leading summer programs for young musicians. Her involvement there has included regular performances, including recitals and concerts with the Chicago Symphony. 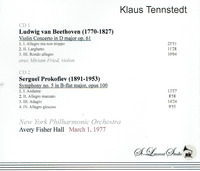 Fried’s highly praised 1985 New York recitals of the complete Bach Sonatas and Partitas for solo violin were the culmination of three years of international performances. She returned to this music with a recording made in France for the Lyrinx label. She has also made a prize-winning, best-selling recording of the Sibelius Concerto for the Finlandia label with the Helsinki Philharmonic under the direction of Okko Kamu.